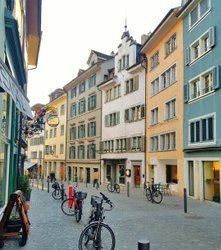 Over the last decades, the tolerant, liberal-minded city of Zurich has become home to a lively gay and lesbian scene. Various associations and societies actively promote a dialogue between each other, and fight for the rights of and equality for the LGBT+ (lesbian, gay, bisexual and transgender) community. 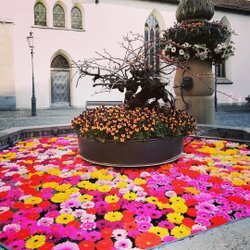 Within the realm of late-night bars and clubs ‒ the largest and most vibrant assortment in Switzerland ‒ countless party labels and establishments create a nightlife that is more colorful than a rainbow. Homosexuality is not just addressed out in the open on the street, but also in the form of colorful events, first and foremost the Zurich Pride Festival. In Zurich, the LGBT+ scene encompasses a wide range of parties, bars and festivals. These bars, cafés and restaurants welcome guests from the LGBT+ community. The eventful history of the LGBT+ community in Zurich in a nutshell. 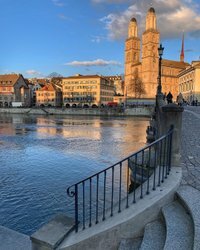 Zurich is the place to be for night owls, for nowhere else in Switzerland is there such a large and diverse nightlife. Museums, concerts, theaters and festivals: in Zurich, culture fans are spoilt for choice.